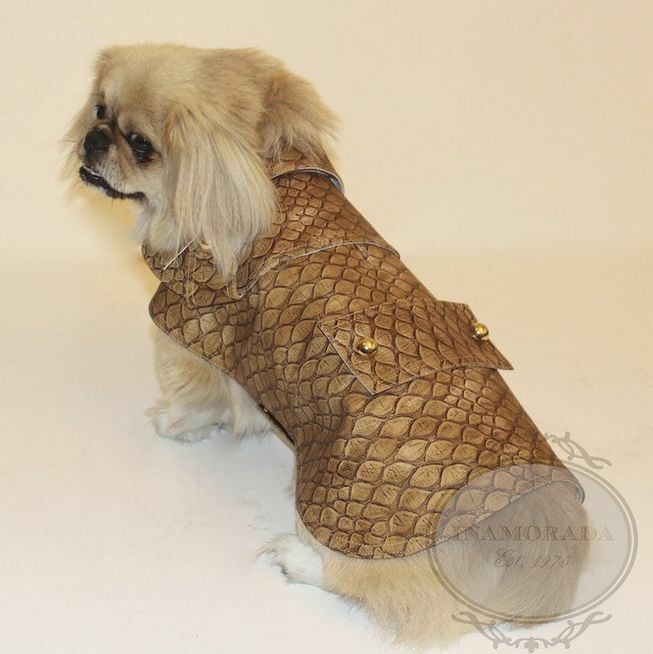 Inamorada brings the excellence of Italian tailoring into the pet world. An exclusive line of haute couture, elegant and extraordinarily design. Gorgeous water resistant imitation leather coat. Lined with beautiful damask fabric. Golden jewel buttons, adjustable belt with press buttons. Size S -10.5″ by length.